Hello Being Frugal readers! My name is Jenni and I blog over at A Well Crafted Party. I like to talk about anything and everything that makes life a party and the many ways to celebrate it. I'm not one of those party people with the gigantic budget though. You won't find me wasting spending thousands of dollars on just any old party. 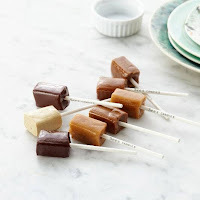 In order to fulfill my desire to party all year long I've had to utilize the "frugal fete" and come up with ways to have the party I desire without spending the big bucks. There are a thousand reasons to party, and a very important few (as in the amount of extra money in my bank account) to not party. I try not to let my bank account discourage me from throwing a fabulous event though. I've got a list of three things that will save you money and allow you to throw a fun party without going into debt. Maybe it is my Oklahoma roots coming out here... but, I love a good potluck. For a more sophisticated version of a potluck ask your guests to bring certain types of dishes or give a theme they can play around on. Potlucks are especially handy when throwing parties with people who love to cook and eat! You'll save a little money on the food, but still get to enjoy the best dishes around. You can even potluck ingredients for a meal if you'd like. Potlucks are a fun way to get people involved in the meal. Just remember that you are asking your guests to help throw your party when you throw a potluck. Etiquette tip: I don't really advise the potluck for parties that people often feel that they need to bring a gift, such as showers, birthdays, or weddings. Asking guests to bring dishes for the meal and a gift is a little much. But, read the crowd, sometimes I can't dissuade my awesome friends from bringing drinks or food to parties! If you do happen to throw a potluck for an event that gifts are traditionally given, don't expect gifts as well as food. Wine glasses can be used for anything from water, to wine, to signature beverages! Image from my "Real Party: Las Vegas Themed Bridal Shower"
Now that the days are longer and temperatures are beginning to rise, this is the perfect opportunity to pack up the family and head outdoors! But like any parent, I want to make sure that my children are protected from the damaging rays of the sun. Luckily, we can all rely on Coppertone broad spectrum sunscreens to help protect our families and allow for a relaxing time outdoors. 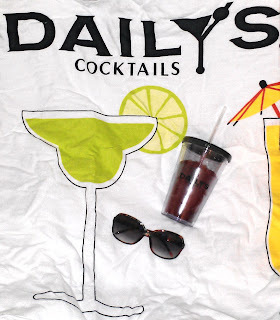 Get a head start on the sun. Apply sunscreen 15 minutes before you are exposed to the sun. Use it liberally and apply it evenly over all exposed skin to ensure complete coverage. Reapply as directed. It's easy to overlook spots like the ears, neck, and shoulders, but they need sunscreen too. 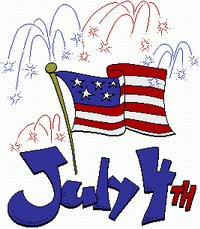 Remember to grab a wide-brimmed hat and sunglasses and to seek shade when the sun is most intense. SPF tells you the level of protection a sunscreen provides from sunburn. Use sunscreen with broad spectrum SPF 15 or higher whenever you'll be outdoors. Apply another coat of sunscreen as needed, at least every 2 hours- and be sure to reapply after swimming, sweating, vigorous activity or toweling off. Select water resistant sunscreens that can keep up with kids. I don't know what part of the country you live in, but here in Michigan where I am at, we have had one of the WORST heat waves I can ever remember. My kids typically go to a park program during the day and I've pretty much kept them home. With the heat index, it's been well into the triple digits. That's just too hot to be running around outside. 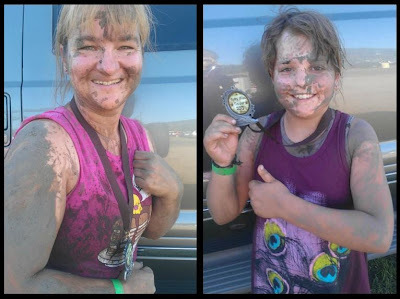 My husband said that we did it as kids, but like everything else that has changed from when we were kids (bike helmets, gas prices, etc), I really do not remember EVER having heat waves in Michigan like what we've had the last two summers. As you can imagine, the kids are starting to get stir crazy. There's only so many things to do inside before they're climbing the walls. Below are some ideas I put together that you can do with your kids to beat the heat! And please, help a mother out...if you have an idea that I did not list, leave in the comments!! Beat the Heat with your Kids! Kids Bowl Free: Are you familiar with this program? It's exactly as it sounds...kids bowl FREE! Bowling alley's throughout the U.S. have been offering a program where children can come and bowl two games a day, seven days a week, all summer long! For more information and to sign up, visit www.KidsBowlFree.com. Movie Theater: Similar to the Kids Bowl Free program, there are a lot of local movie theaters that offer kids movies at a reduced rate during the summer. One of my local theaters has $1 shows Monday through Friday. They are movies that have previously been in theaters. But for a dollar...you can't beat it! Water Balloons: There's something about water balloons that make kids so happy. I don't know if it's the fact that they can throw something at another person or because water explodes everywhere, but kids just love water balloons. Your fingers, on the other hand, will be sore from tying all the balloons...the things we do for our kids! Shaving Cream Fight: When I was in high school, we had a shaving cream/water balloon fight every year on the last day of school. It was so much fun! 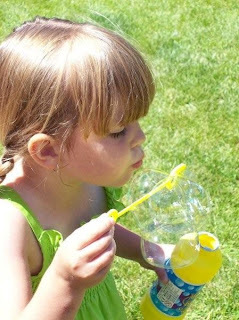 Get a couple cans of shaving cream at the dollar store, fill up those water balloons and make memories with your kids! I'm telling you, they will never forget the time mom let them make a mess like that! As a mother of two beautiful children, enjoying the little moments in life give me the most pleasure. I strive to make lifelong memories with my children, and be the best mom that I can possibly be. Of course, learning to be responsible, respectful and polite are part of our main focus, having fun is at the top of the list as well. In order to live the best life possible, you have to be true to yourself! Don't try to please others, or be someone you aren't. If you are true to yourself... everything else falls into place. Live every day to the fullest! Don't let any opportunity pass you by. Let your unique qualities shine! Each one of us has a special, unique quality that is all our own. Embrace it! Life is too short! Don't let things that are out of your control get you down. Live in the present! Don't focus on what could have been... let the past remain there and look towards the present and future. There is a world of opportunities right at your fingertips! Set goals! When you have specific goals in mind, life has a greater purpose. Create a bucket list! Make a list of everything you would like to accomplish or do.. and get started. Make your dreams and wishes a reality! Stay positive! Even when life gets you down, hold your head up high. Surround yourself with encouragement! Spend time with friends and family that love you for who you are. 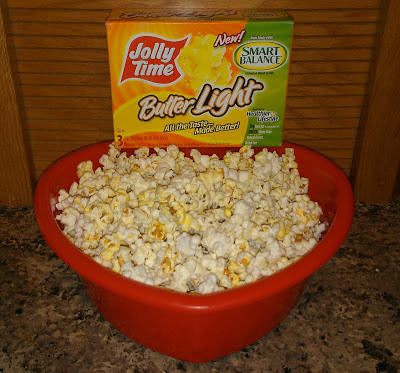 Are you looking for an enjoyable frugal summer activity to share with your children this week? 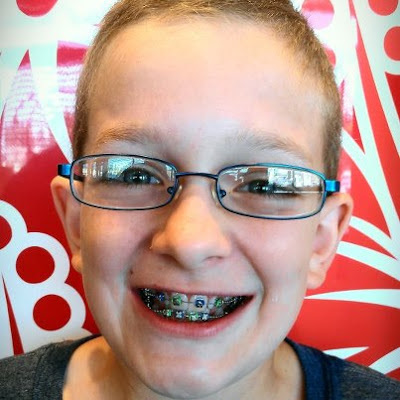 How about taking them to see one of the family friendly Regal Cinemas Dollar Movies on Tuesday or Wednesday. Maybe it is too hot to spend a lot of time outside, or maybe it is a little too cold, windy or rainy. Either way, going to watch a movie is the perfect way to spend a little time together and have fun! 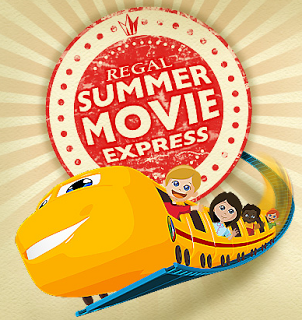 All summer long, you can take the kids to watch a family friendly movie for just $1 at your local Regal Cinemas Theater every Tuesday and Wednesday at 10 AM! Summer is officially in full swing and that means many of us will be taking summer vacations. My husband, our two children and I look forward to our family vacation every summer, and over the past several years have become quite good at planning and creating memories on a frugal budget. Here are ten of my favorite frugal tips on how to save money on food and eating out while on family vacation. 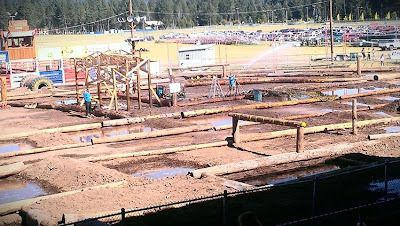 Plan Early! Planning early is probably the biggest money saving tip that I can share! If you plan your vacation in advance, often times the prices are lower and the deals are better. This year we reserved and paid for our Oregon beach house rental in January and got winter rates. Even though we won't vacation until August. Eat Dinner Early! Many restaurants offer a lunch menu price on their meals if you eat before 4pm. Plan to eat an early dinner and save! The portions are still the same but the price is often $2 - $5 cheaper per meal. Last summer we drove into Canada this summer for our family vacation and needed to make sure that we had all of the proper paperwork ready, including passports for each member of our family. Since passports take an average of 4 - 6 weeks to arrive, getting our them on their way in time was among our top priorities. We had never applied for passports before, and had no idea where to begin. We heard so many different things from several different people, so it was difficult to know which direction to begin! Luckily, getting a passport was a quick and painless process. We chose to get a passport card instead of an actual passport, as it is good for land and sea travel between the US, Canada and Mexico. Passport cards are not good for air travel, but since we won't be flying, it was our best option. Passport Cards are also much cheaper, making it the frugal choice! Lipstick has never been my thing, I have always been a lip gloss girl! I love the slight, subtle tint of color and glossy shine. I also like the variety of flavors and scents that lip gloss come in - fruity ones are my favorite! My 9 year old daughter is obsessed with lip gloss, and takes hers everywhere with her. YOYO Lip Gloss is available in 17 different initial letters and a peace sign, 3 different color and flavor variations are available - Cotton Candy (turquoise), Bubblegum (light pink), and Grape (purple). Each design is beautifully crystallized with high sparkling glitter. 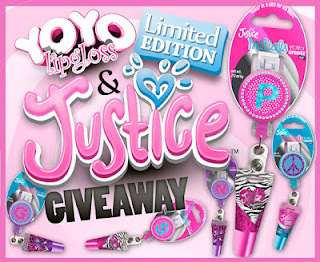 My daughter and I both love how these lip glosses smell and how pretty they are. My daughter says that they smell so good that she wants to eat them! 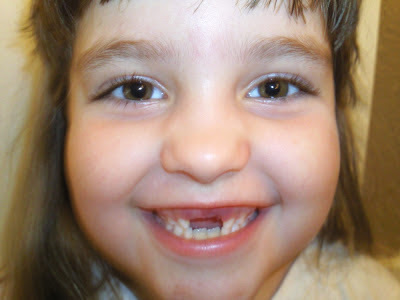 She also said that they are "pretty like jewelry" and that she wishes she could give one to all of her friends. She was also very excited that hers had an "S" on it for her name. These fun lip glosses can easily be clipped on to a belt, pocket or school bag for quick and easy access. These glosses solve the lost lip gloss dilemma, never search for your gloss again! Everyone loves the sun. And everyone knows the sun can really damage skin - especially to kids’. As parents, we are very careful to cover our children head to toe with sunscreen, but often forget how important it is to protect their eyes as well. Most parents simply don’t realize the sun can also cause permanent and irreparable damage to their children’s eyes. In fact, children’s eyes are at increased risk for permanent eye damage from sunlight until they’re 10-years-old. Real Kids Shades are designed with children in mind. Their infant and kids' sunglasses are specifically designed with children in mind: award winning designs, shatterproof and impact resistant and perfect for even the most active children! They are fun, stylish, comfortable (flexible and bendable) and provide 100% protection from harmful UV rays. Did you know that 82% of parents make sure their children are wearing sunscreen, but only 32% tell their children to wear sunglasses? One of my favorite aspects about Real Kids Shades, other than the fact that they protect my children's eyes, is that they fit my kids little faces perfectly! So many kids sunglasses don't fit properly and are always falling off or let the sun shine in through the sides. 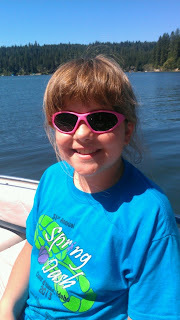 My kids have worn their Real Kids Shades in our jeep with the top down and on our boat out on the lake, and they have never had an issue with them slipping or sliding down. The neoprene bands keep their sunglasses in place, and help make sure they don't lose them. My kids both love their new sunglasses because they say the look like Dad's sunglasses. My daughter loves hers because they are pink, of course. I love the fact that there are a variety of styles that are specifically designed by age; from 0 - 12 years old, making it easy to choose the perfect sunglasses for your child. My First Shades are simply adorable and designed for 0-24 months and 2-5 years. Lets face it, infants wearing sunglasses are simply adorable. 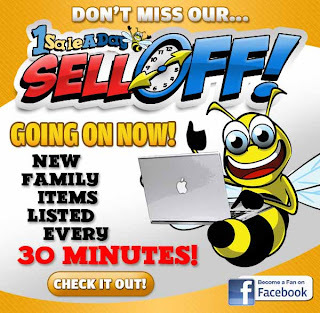 Today, 1SaleADay is having a family sell off with a new door busting deal every 30 minutes! 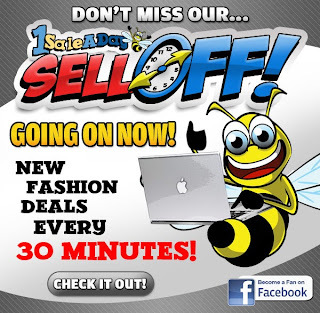 I've been a huge fan of 1SaleADay for quite some time now and am always amazed at their low prices, great deals, and freebies! Today I will be checking in as often as I can to see how many amazing deals I can pick up, and even better yet... how many freebies I can grab! 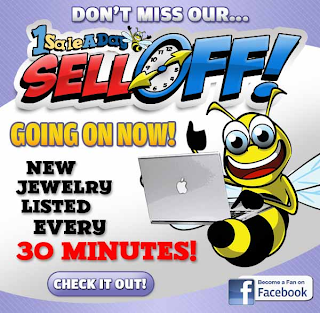 Have you ever purchased anything from 1SaleADay? We love tacos so much in our house that Taco Tuesday can be any night of the week! 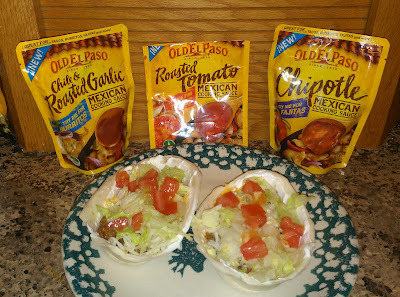 When I was recently given the opportunity to try the new Old El Paso Stand ‘N Stuff® Tortillas and Old El Paso Mexican Cooking Sauces with my family, I was thrilled! We usually use large soft tortillas for our tacos, and I roll them up tightly like a burrito making them easy for the kids to eat. So when they saw the "odd looking" tacos on their dinner plates, they weren't too sure what to think. However, they love tacos and dug right in! Each of them finishing their first one and going back for seconds! The Old El Paso Stand ‘N Stuff Tortillas are easy to fill, even easier to hold, and are the perfect size for filling with all your favorite taco fixins'. I love that the tortilla shell stood up on its own, making it super easy to fill. No more trying to hold the taco shell with one hand while trying to fill it with the other - which ultimately left a huge mess on your plate and have of your taco fillings not inside the taco. The Old El Paso Mexican Cooking Sauces come in three flavorful varieties: Roasted Tomato (our personal favorite), Chili and Roasted Garlic, and Chipotle (our least favorite - but we aren't a "hot & spicy" family). These cooking sauces are perfect for tacos, burritos, fajitas, shepherd's pie and so much more! Family taco night just got easier! 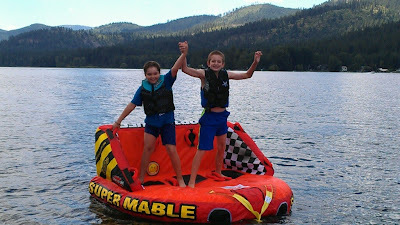 With the kids being home for summer, my main focus is obviously with them and less on entering blog giveaways. 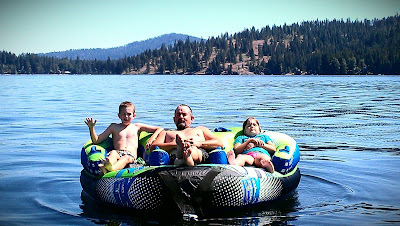 We are having so much fun swimming, fishing, boating, and other fun summer activities that my blogging pace slows way down. I haven't won any blog giveaways in the past couple of weeks, but the fun I'm having with my kids is worth more than any win! With two kids that love cereal for breakfast, it's important that I keep our pantry stocked with all their favorite breakfast cereals. 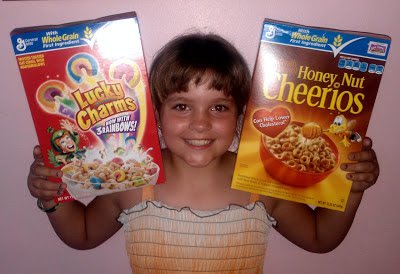 Big G cereals like Honey Nut Cheerios, Cinnamon Toast Crunch and Lucky Charms are among their favorites. So, as a frugal mom and shopper, whenever I find a cereal sale and a printable coupon, it's time to stock up our cereal shelf in the pantry. Dry or in a bowl with milk, my kids love cereal and would eat an entire box in one meal if I were to allow it. This summer and just in time for back to school, you can save BIG on your children's favorite General Mills breakfast cereals including Honey Nut Cheerios, Lucky Charms, and Cinnamon Toast Crunch and more... 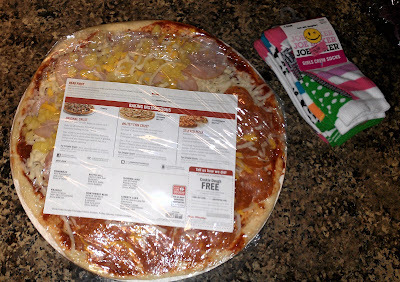 Simply visit Breakfast at Home Makes Cents and select the coupons you want to print. 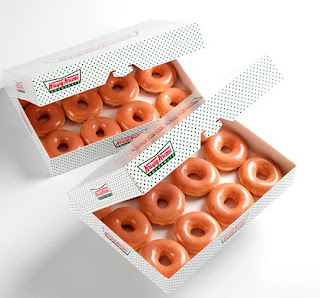 New coupons are added each month, so visit often! Do you love Slurpees? Today only 7/11, you can get an ice cold FREE slurpee at 7 Eleven from 11 am to 7 pm. Free Small Slurpee. No coupon required. No Purchase Required. Last week record high temperatures hit our region without warning, it went from mid-60's to 103 overnight and it was pure torture on us. Of course we love the summer and all of the fun activities that come along with it, but when you step outside and instantly start to sweat, you have to find creative ways to beat the heat! That's why the kids and I got up early one day last week to beat the heat and run errands. 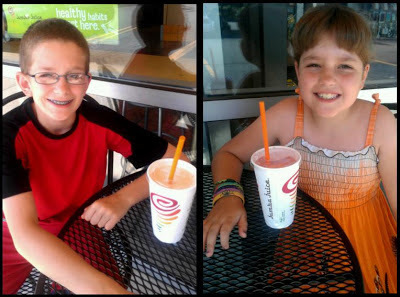 Our first stop was Jamba Juice to try their new fruit and veggie smoothies, and then it was off to the discount movies! Did you know that only 1% of adults and 2% of children actually get their required amount of both fruit and veggies each day? As a parent, I find those percentages disturbing. Did you know that all Jamba Juice fruit and veggie smoothies contain two servings of fruit and one serving of veggies in every blended smoothie? Delicious, satisfying, real whole fruit and vegetable juice with no added sugar! Both of my kids love fresh fruit smoothies but typically go for the strawberry and banana versions. This time I ordered for them, telling them that they were going to be surprised with something new! I told them if they didn't like it they didn't have to finish them. I knew that wasn't going to be an issue. I ordered Jamba Kids Berry Beet It Smoothies for both kids. It is a delicious blend of strawberries (bonus points), mangos, bananas (more bonus points), and mixed berry juice with carrots, beets, broccoli, spinach, kale and lettuce. While my children love vegetables, if they knew what mixture they were about to drink I'm not sure they would have tried it. Let's be honest, it really doesn't sound too good! 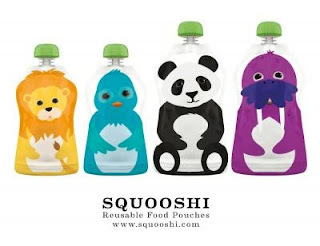 Frugal DIY Healthy Snacks: Squooshi Reusable Food Pouches! Do you make your own baby food or love to take healthy snacks when you take long car trips or take the kids shopping? Adorably designed, Squooshi reusable food pouches are fun for kids of all ages and you'll appreciate the cost savings of DIY... Save up to hundreds of dollars annually! With Squooshi you can store, freeze, and serve all from the same container. Use Code FAMILYGUIDE for a FREE set of replacement caps with your order! NoMoreRack Deals: Save 50-80% Off Retail + Get $10 Off Your First Order! If you have followed Being Frugal and Making it Work for any time at all, you know that I love getting great deals on every purchase I make. Whether I'm shopping inside the store itself or online, I'm looking for great bargains! My newest addiction in online shopping is Nomorerack! I fell in love with Nomorerack about a month ago, the deals are simply amazing! They offer such a wide variety too - clothing for the entire family, shoes, jewelry, household items, electronics and so much more! You're only dilemma is going to be knowing when to stop adding items to your shopping cart! I ordered 4 super cute summer dresses for just $29 shipped! I was able to score free shipping because of their recent 3-day event. However, shipping is only $2 per item, so still very affordable! When my daughter saw them, she loved them and asked if she could have one too... 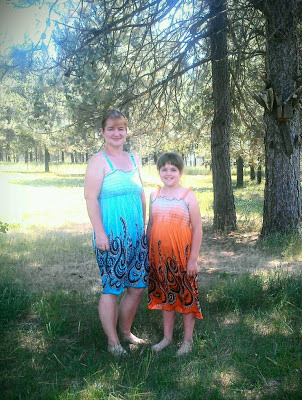 Yes, we are wearing the same size dresses in the picture below! Nomorerack is the online shopping destination for those who want quality brand named apparel and accessories for 50-80% off retail! 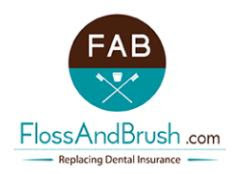 They carry a variety of incredible products with super low prices!